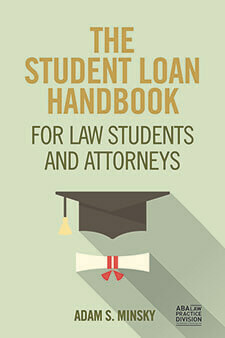 Share the post "How (Not) To Use Forbearance"
A “forbearance” allows student loan borrowers to temporarily postpone payments on their student loans. It’s a great – and important – option available to people who cannot afford their regular monthly payments, because it allows you to stay in good standing on your student loan and avoid default. But forbearance is not without its consequences, and when used improperly, it can cause major problems. Even while payments on your student loans are paused through forbearance, interest still accrues. Since that interest is not getting repaid during the forbearance, it’s simply adding up, month after month. Furthermore, that outstanding interest will likely be “capitalized,” meaning tacked onto your principal balance. Interest will then continue to accrue on that larger principal balance, leading to even more interest accrual. This cycle of interest accrual and capitalization – all without any payments being made – can lead to shocking balance increases. A $50,000 student loan at a 6% interest rate will accrue $3,000 per year in interest; that figure will be even higher if there is periodic capitalization. While you are in forbearance, you can’t make any progress towards either paying off your loan, or getting your loans forgiven under an income-driven repayment plan like PAYE or REPAYE. You are simply postponing payments while your balance increases, and you may have higher payments once your forbearance ends because your overall balance by then will be larger. Perhaps the least-known characteristic of forbearance is that it’s finite – eventually, you will run out of the forbearance that you have available on your student loans. Federal student loans are more generous than private student loans when it comes to forbearance – you have 36 months of economic hardship forbearance available for federal student loans, whereas most private student loans will have 12 months of forbearance or less. Either way, once you use up that forbearance, it’s gone. That leaves you with no wiggle room and no room for error during the remaining portion of the repayment term (which can be 10, 20, or 30 years). Not a good situation. Because of these problems and risks, forbearances should only be used in true emergencies. For example, if you lose your job, or have an unexpected illness, or you have a major unforeseen expense, you may not be able to afford your regular monthly student loan payment. If that happens, you can request a temporary forbearance for that month to postpone your payment and avoid the negative repercussions of delinquency and default. 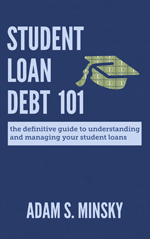 But you should not use your forbearance as an open-ended strategy for long-term student loan management. Income-Driven Repayment. For federal student loans, a better option would be income-driven repayment like Income-Based Repayment, Pay as You Earn, or Revised Pay As You Earn, which provides a unique monthly payment for you based on your income and family size – and if your income is near the poverty level, you could have a payment as low as $0. So if you experience a significant drop in income, you can switch to one of these plans, rather than going into forbearance. If your circumstances improve, you can switch back to regular repayment. Otherwise, you can renew the income-driven repayment plan each year, and eventually get your loans forgiven if you aren’t able to pay it back in full. Temporary Loan Modification. Since income-driven repayment is generally not available for private student loans, you can talk to your private student loan lender or servicer about a temporary loan modification. For instance, you may be able to get onto a temporary interest-only repayment plan, or otherwise reduce your payments for a time. These are discretionary programs (meaning the lender or servicer can decide whether or not to work with you) and they may require that you go through a financial review. A modification may also increase your monthly payments when the modification ends. But a temporary loan modification can keep your private loan in good standing, avoid default, and also leave intact your forbearances for future emergencies. Emergency Fund. In general, it is good financial practice to have an emergency fund that can cover at least three to six months of your regular expenses. If you experience a medical or financial emergency, and you have an emergency fund available, you can pay your student loan payments from the emergency fund so that you are not eating into your forbearance options. This will allow you to stay on track for loan forgiveness or payoff (depending on what plan you are on). 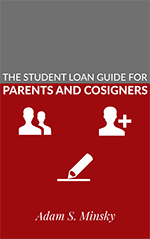 If you have a combination of federal and private student loans, this can be particularly useful since you can put your federal student loans into an income-driven plan during a financial emergency, and then pay your private student loans from the emergency fund, avoiding the need for a forbearance or tedious financial review.